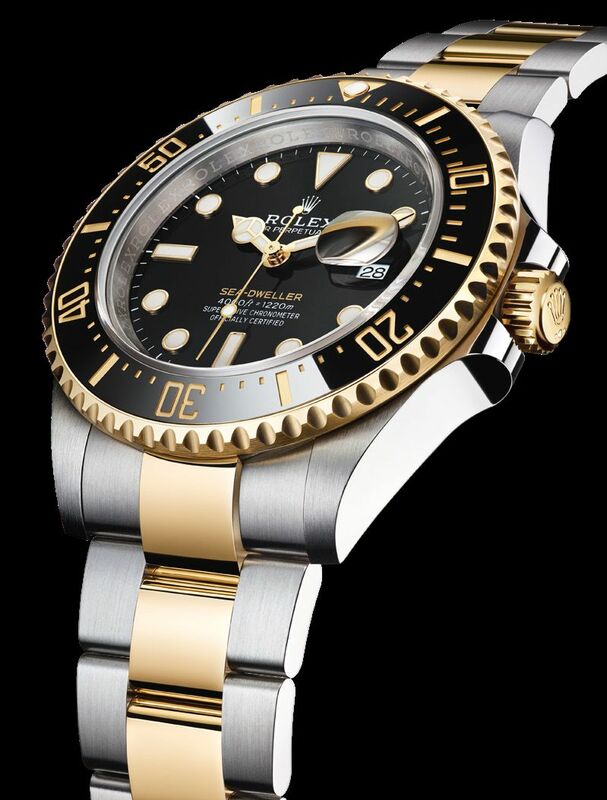 On its black dial, the inscription "Sea-Dweller" is in yellow, mirroring the 18kt yellow gold. 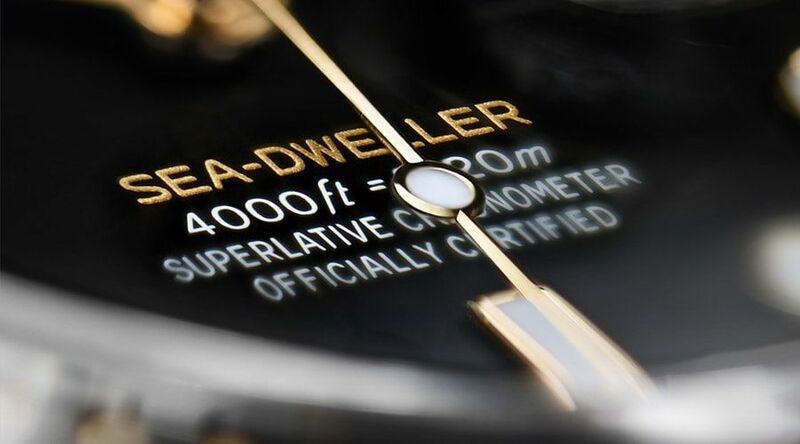 When the Sea-Dweller was updated in 2017, this lettering was in red, in reference to the original model. The case, in stainless steel and 18kt yellow gold, measures 43mm. It has a sapphire crystal and an unidirectional rotatable 60-minute graduated Cerachrom insert in black ceramic with moulded, recessed numerals and graduations. It is water resistant to 1,200 meters and features a Helium-escape valve. Movement is the Swiss automatic Rolex in-house caliber 3235 with 31 jewels, 28,800 vph and a power reserve of 70 hours. It features a paramagnetic blue Parachrom hairspring and a Paraflex shock absorbers. Escapement: Chronergy with optimized energy efficiency. It is Chronometer-certified. It has a black gloss dial with fine satin finish. 18kt yellow gold hourmarkers and hands, both with Chromalight. It come on a steel and 18kt yellow gold Oyster bracelet with an Oysterlock folding safety clasp with the Glidelock extension system. The SD with a cyclops just doesn't look "right". Not a fan of the cyclops on SDs. 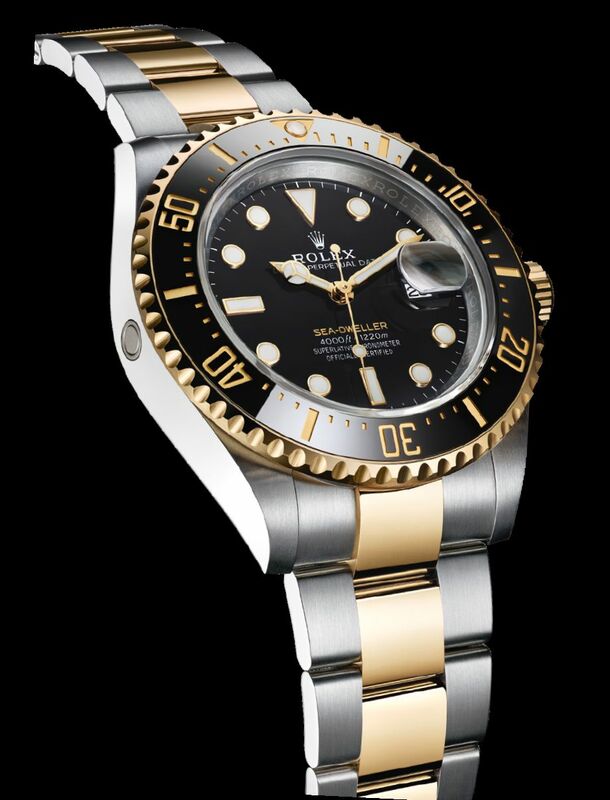 As a diver I may want an upgraded version for my two dive watches: titanium Omega SMP and steel Rolex Sub. 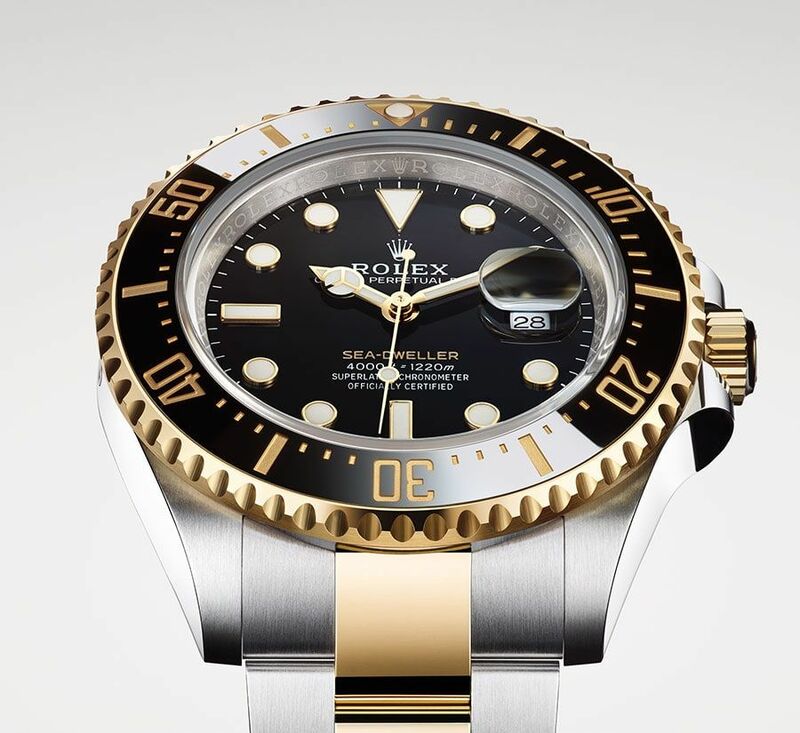 A gold Sub is not good for diving: to soft, too shiny. This may be a perfect watch.